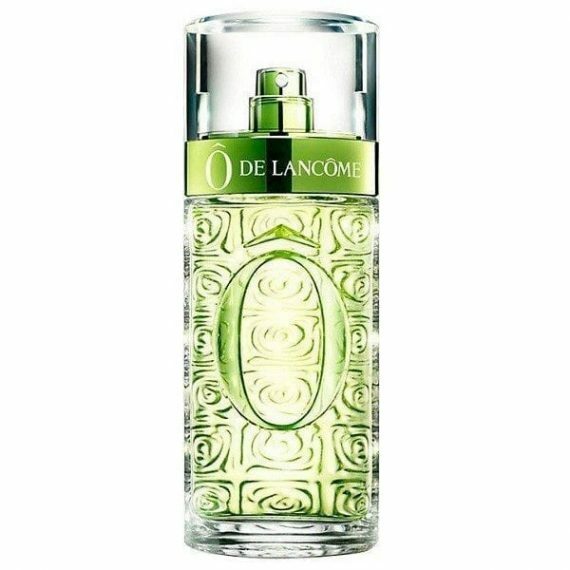 O de Lancome by Lancome is a citrus aromatic feminine Eau de Toilette with top notes of Bergamot, Lemon and Tangerine. The heart notes are Basil, Rosemary, Coriander, Honeysuckle and Jasmine with a base of Sandalwood, Vetiver, Oakmoss and Cistus Labdanum notes. It is a surprisingly fresh perfume with an invigorating and revitalizing scent. The predominant note is Lemon and the fragrance lasts well on the skin. The scent was launched in 1969 in a luminous green glass flacon and is also available as a Shower Gel.